In order to fully sample the best this world has to offer in terms of music and culture it is essential to fly to different countries to experience the rich variety and huge selection of events and attractions available. Flying to different destinations to experience and enjoy new and unique cultural and music events is one of the best decisions you can make which will enrich your life many times over and give you memories that will last a lifetime. To inspire you to go and visit these such places here are 5 of the best destinations in the world that you really need to check out! 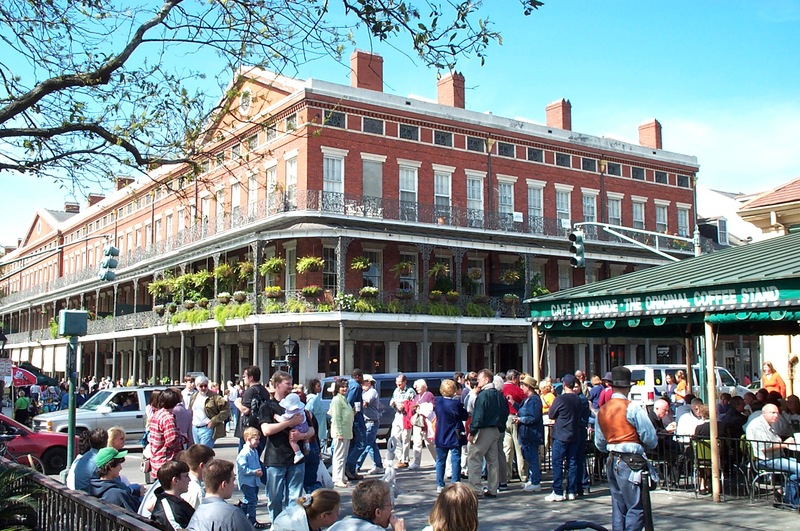 In terms of culture, history and music the city of New Orleans in the state of Louisiana in the very southernmost part of the USA is a must-visit destination. The most distinctive aspect of the music of this fantastic city is its “jazz” which became popular over the world due to great performers like Louis Armstrong and Sidney Bechet. The origins of this music was the slave environment of the state in the 19th century, whereby the slaves would congregate to play their music. This gave the city’s music a real African influence. Later there was to be a Cuban influence too. Latterly, RAP music has also become very popular in the city with artists like Lil Wayne coming from there. If you visit you will find a fascinating city with a rich history, incredible homage to music and delicious food. Anyone truly interested in music and culture owes it to themselves to go to Berlin at least once in their lifetime. This city has had more than its fair share of history, including the Fall of the Berlin Wall in 1989. Some of the most memorable and lauded albums of all-time have been produced here, including U2’s Achtung Baby. An amazing number of bands perform here annually so, during any visit, you should definitely attend a few concerts. If you want to experience the absolute peak of clubbing music and partying culture then the place to be is, undoubtedly, the island of Ibiza. Basking in beautiful summer sunshine this island is the pinnacle of dance music with huge numbers of the world’s top DJs arriving there to spend months at a time entertaining millions of revellers. If you want fun, energy and excitement then this is the place to go. The Irish capital city is steeped in history ranging from the Irish Wars of Independence to the writing of the famous novel Ulysses, Dublin is definitely a great city to make the short flight over the water to visit. Fabulous street music can be listened to here on all the main thorough-ways and some brilliant bands, like The Chieftains and U2, owe their roots to here. Another US city makes the top 5 here and it is little wonder considering how influential Nashville has been as a hub of music and culture. Known as “Music City” it is home to dozens of different musical genres and has produced some of the world’s greatest music artists like Johnny Cash, Jimi Hendrix and Dolly Parton. An absolute must-visit for any lover of music and culture. Summing Up – It’s Time To Fly! To go to these inspiring destinations all you need to do is book your ticket and hop on board. Thankfully, to help make this happen for you, there is a great way to collect Airmiles with Avios. There are a huge number of ways to collect points effortlessly including grocery shopping and filling up for fuel and quickly you can have amassed enough points to save massively on your air travel. That way you can soon be enjoying the amazing culture and music of these 5 incredible destinations. Good luck and get collecting today! One comment on The 5 Best Destinations To Fly To For Music And Culture!